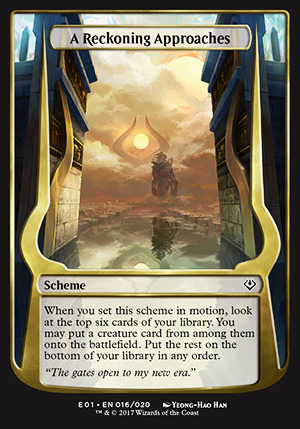 When you set this scheme in motion, look at the top six cards of your library. You may put a creature card from among them onto the battlefield. Put the rest on the bottom of your library in any order.